Why create a video streaming app? Video content is the most consumed type of content at the moment. People are spending more and more time watching videos online, and TV is no longer the primary source of visual content. Though live video streaming appeared only recently, it’s already become a gold mine for marketers, business owners, and bloggers. Videos account for one-third of all content consumed on the internet. According to a Cisco report, by 2019 video will account for 80% of all internet traffic. As you can see, video is one of the most promising areas in marketing, and in this article we’ll talk specifically about how to build a live streaming video app. What is live streaming? It’s a live broadcast that appears on users’ devices in real time. It allows thousands of people to watch videos of things that are happening at the moment. This is very popular among gamers, but gaming certainly isn’t the only sphere in which you can use it. For example, breaking news makes up 56% of all watched content, coming right before live streams from concerts and festivals. Live streams are even more popular in mobile apps, as people mostly watch videos on their mobile phones. Moreover, according to Tubular Insights, people spend eight times more time watching live streams than watching on-demand videos. If you want to create a live stream video app, it’s a great idea. The video industry will only continue to grow. Before we delve into tips and main features for a live streaming app, however, let’s define their types. The first type streams videos that are already uploaded by users. They’re stored on a server so users can watch them anytime. Live video streaming, on the other hand, means that videos can only be watched as they’re being broadcast. They’re sent directly from device to device in real time, so there’s no need to have a large amount of server storage. However, sometimes videos are stored for some short period of time. In this article, we’ll talk about live video streaming apps, as they gain more user attention which can bring profit to your business. We’ll also tell you how to create a video streaming app. So where can they be used? The answer is pretty much anywhere. Not only gaming and breaking news can draw lots of attention. For example, you can use it as a marketing promotion tool. Offer your clients some interesting information in video format to get their attention. You can also offer live training or tutorials that people can watch and share within your app or on social media. This can be useful if you own a fitness application or a health-related business. Streams allow you to give valuable information while simultaneously promoting yourself and demonstrating your expertise. Fitness tracker app development industry works great with video streaming, as you can provide great fitness lessons and let the system track the user’s progress. Paid streams of culinary classes are one possible idea for your app. 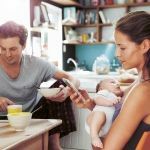 Or you can offer your users the ability to use their capabilities with Internet of Things devices to look after their pets or children, for example. Or you can add Cardboard functionality to your mobile app to make it more engaging. 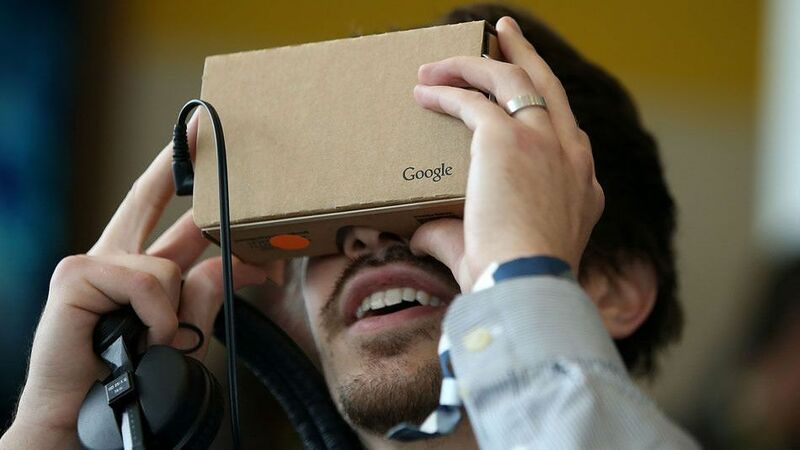 Cardboard is Google’s VR platform that uses a head mounted display to turn a smartphone into a virtual reality tool. There are three kits from Google that allow you to make Cardboard apps. There are some must-have features, however. Let’s discuss them in detail. A live streaming app can be simple or complex: everything depends on your budget, business model, and idea. First, we’ll discuss all the necessary features you should include. We’ll then offer an estimate so you can see how many days it will take to develop each feature. The cost of developing a live streaming app will depend on a hourly rate of the developers you will hire. Creating a user profile and customizing it according to user preferences is very important. Personal accounts need to contain interests and be customizable for each individual user. You can also add several ways to register – for example, with the help of Facebook, which will make onboarding faster and more convenient. Users want an easy-to-use and simple tool to find streams. Your app needs to use geolocation to allow users to find broadcasts based on their current location. Also, search can be used for find other users and add them to friend lists. Sharing opinions and giving feedback is a great part of live streaming. You can’t get the same experience with TV, for instance. With comments, users can ask questions and get answers in real time. The most important feature for a live streaming app, of course, is the live streaming functionality itself. If you create a live streaming app that allows any user to stream and watch streams, you should also add an ability to record them. However, recording isn’t necessary if you’re planning to be the content producer or just include some streaming functionality into an existing app. In addition to commenting on videos, you can give users the opportunity to share them with friends. 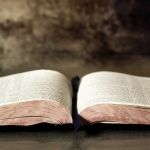 This will immediately boost your views and engagement rate. Despite their high engagement rates, streams aren’t always that convenient: things can get in the way and distract you from watching a stream in real time. To overcome this issue, you can add a feature to let users download videos to their local storage. If you’re planning to have some paid content in your streaming app, be sure to include in-app purchase capabilities so that the payment process is smooth, quick, and secure. You can add face animations like those popular in snapchat or instagram. They detect a face and add virtual features to it in real time. As you add these into your mobile video streaming app, you can sell them to your users as in-app purchases. If your target audience is teens, this can make for great additional income. Testing is extremely important, especially when it comes to streaming: the broadcast has to be smooth, and you should make sure their sizes are optimal for the best performance. Your UI has to be distinct from other applications of the same type – you should make it unique and memorable. Some of these stages take place simultaneously – for example, testing needs to happen at every stage of functional development to make sure that the frontend and backend work together properly. While the stages of a streaming app development seem pretty clear, there are some details that distinguish video streaming apps from other kinds of mobile applications. 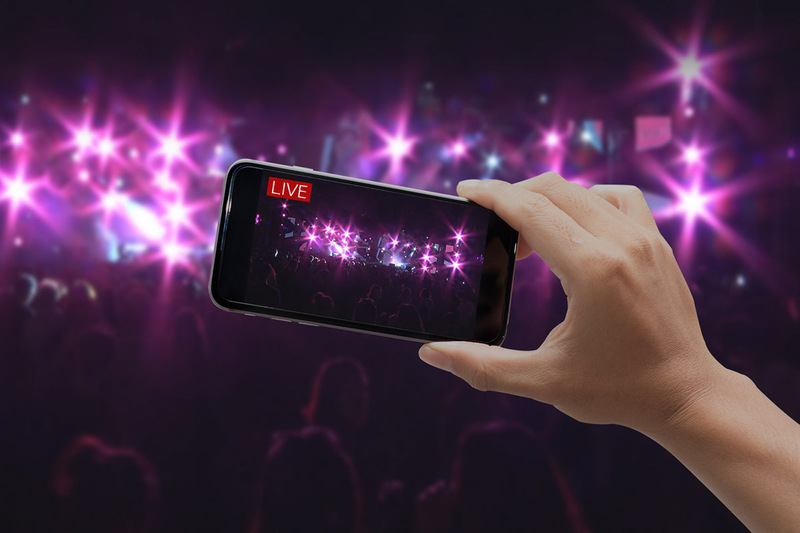 Here are the things you should know before starting to develop a live streaming app. Streaming requires great performance from your backend, as it has to send lots of information every second. Your server needs a lot of memory to do that, and a user’s device also has to be capable of receiving this data stream. The best way to compress data, and therefore send it faster, is using codecs. A codec is an algorithm that compresses and decompresses information. Different devices use different codecs, so you need to make sure your server is able to choose the right format in which to send a video. Delivering a video without latency is the most important thing when streaming, especially if you use it for communication purposes. Each user has to comply with certain internet bandwidth requirements or else the video won’t be able to stream flawlessly. You should decide how many users will be able to watch one stream simultaneously. This will dictate your backend requirements and technology you’ll use. Keep in mind that if a broadcast gets stuck, most users will just close it. 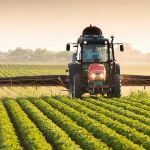 Here are some examples of both standalone applications and other platforms that have added streaming as an additional functionality. 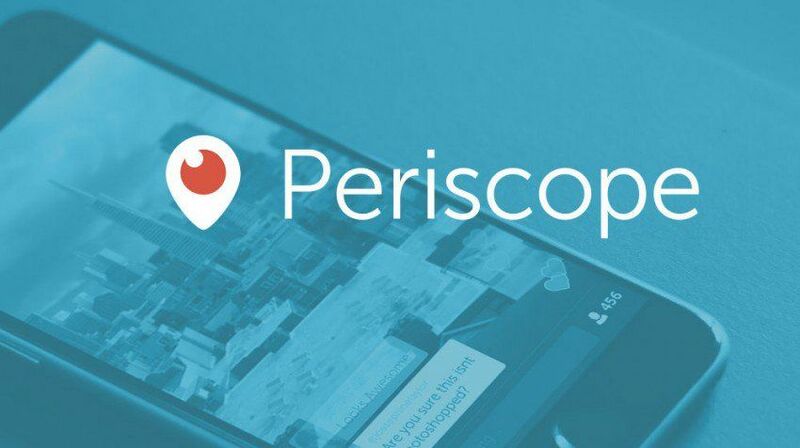 Periscope is a perfect app for active social media users, especially Twitter users. 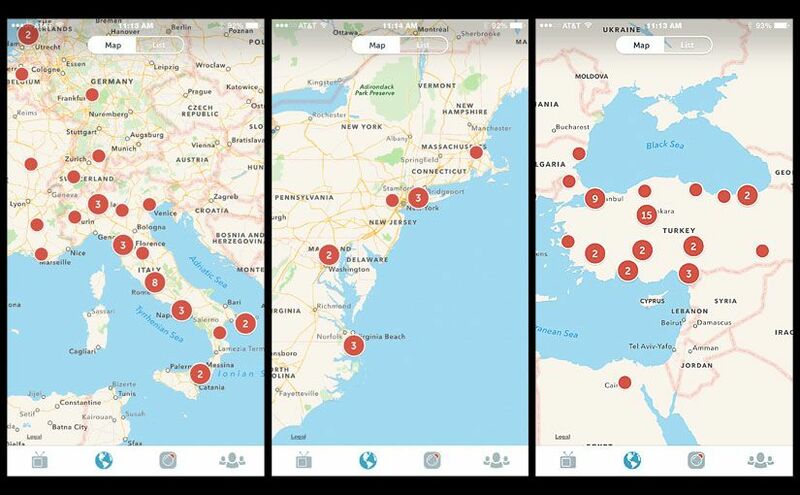 Periscope allows you to record live streams either to a group or publicly and share links to your live streams on social media platforms like Facebook. A map helps users find trending broadcasts. 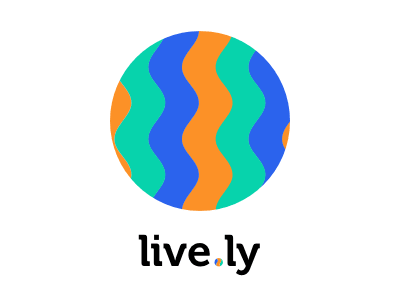 Live.ly appeared recently, but it’s already gained popularity, becoming one of the best apps for video streaming. It lets you view streams from all around the world and share your life as well. The main popularity metrics in Live.ly are loves and gift points. The gift points are paid. This makes Live.ly a great example of how to develop a video stream app and monetize it. Like other social media platforms, Instagram has added this functionality to their app. 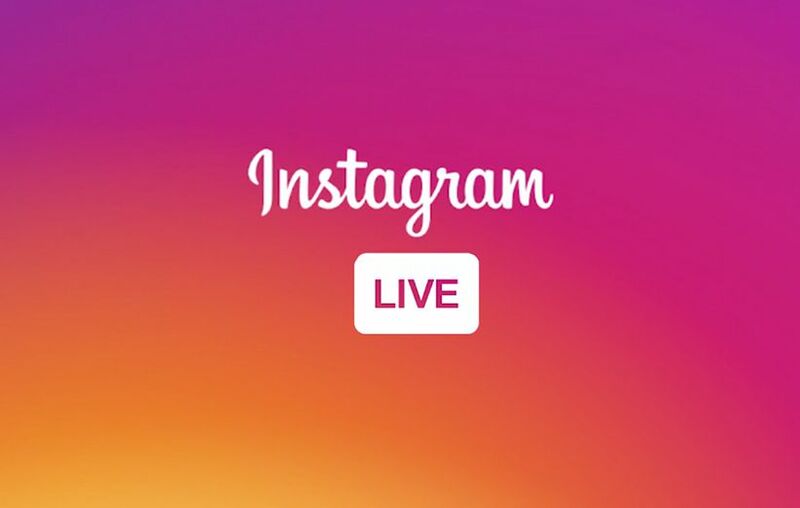 Now Instagram allows you to stream for up to one hour and join streams by tapping the Live tag in Instagram stories. Videos aren’t stored anywhere, however, so they’re unavailable after the broadcast. While the market isn’t that saturated, there are some tech giants that have already gained popularity. For example, Facebook and Snapchat added this functionality as an additional feature and Stringwire and Upstream are designed specifically for live streams. If you just want to use live streaming for your business, there’s actually no need to create a standalone app. You can just integrate live streaming functionality into your existing application as a great addition to your business model. If you don’t want to share your content on Facebook or Youtube, you can add your own streaming functionality to get views and monetize your streams as you wish. But don’t forget about analytics: they’re extremely important to any mobile application or web product. Look closely at how your users react to live streams. 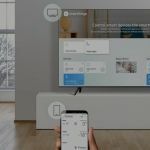 Live streaming apps get lots of attention, and it looks like that video content is the future of entertainment, marketing, and education. Streaming apps have plenty of use cases. If you have a great idea for a live streaming app or you just want to add this functionality to your existing application, or you just want to know more about how to make a live video streaming application, contact Mobindustry for more information. With our technical expertise, we’ll build a great app that will attract a great audience.